Learn about the archaeology of Cave Creek/Spur Cross area through hikes, booths, guest speaker and live demonstrations. There are booths from Desert Foothills Chapter of AAS, Cave Creek Museum, Friends of the Tonto National Forest, Pottery demonstrations and others. There are opportunities to view and hold prehistoric artifacts from the area. Come help celebrate Arizona Archaeology Month. Bring the entire family and have fun while learning about this beautiful state. HIKES: The hikes include First Mesa at 9:00 AM and Rock Art of Spur Cross 10:00 AM. Our featured speaker at 1:00 PM is retired Tonto National Forest Archaeologist, Scott Wood. 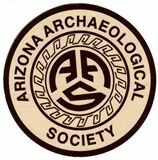 Please check the Arizona Archaeological Society (AAS) website www.azarchsoc.wildapricot.org under "Events" for finalized schedule of speakers, hikes, and booth participants or the Desert Foothills Chapter website at www.azarchsoc.wildapricot.org/desertfoothills. HIKERS: Hikers should be prepared for desert walking with appropriate footwear, hats, snacks, and an adequate supply of bottled water! DIRECTIONS: From Cave Creek Road, turn north on to Spur Cross Road. Spur Cross Conservation Area is 4.5 miles north. Although the Expo is free, there is a $3/adult park entrance fee. Children under 16 and those with Maricopa County Park or Spur Cross passes are free.